Canberra: Australia has delivered a severe blow to China, who is trying to exert its influence in the political, economic, education and other sensitive sectors in Australia. The attempt of Chinese industrialist, Huang Xiangmo, a close aide to the ruling Chinese communist party for acquiring Australian citizenship has been thwarted. The Australian media reported that passport and permanent resident visa of Huang, founder of the Yuhu company, have been cancelled. It appears that since the last three years, the tension is consistently building in the relations between China and Australia. Huge claims were made in 2016-17 that China is trying to interfere in Australian politics, through the educational institutes and voluntary organisations. The then Prime Minister Malcolm Turnbull had taken an aggressive stance against this interference and passed the Foreign Interference Laws. According to this law, foreign interference in the political processes was termed as a criminal act, and official registration was made mandatory for all those lobbying for a foreign country. The Law will be implemented from March. But Australian Prime Minister Scott Morrison seems to have jolted China, even before that. 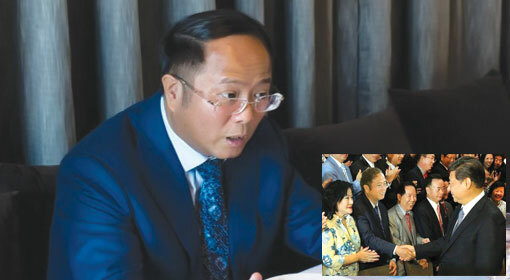 It has been revealed that the Chinese industrialist Huang Xiangmo has made huge investments in Australia and has donated more than AUD 5 million to educational institutes, study groups and political leaders. The list of beneficiaries includes an institution connected with former Foreign Minister Bob Karr. The action taken by the Australian government, adopting an open stand against Chinese interference, has dejected China. China has advised that the Australian government should change its views as China is not interfering politically. At the same time, it has been warned that the Australian action against China will affect the Australian economy. Along with the political interference issue, the Chinese rulers had reacted strongly to the Australian opposition to the Chinese activities in the South China Sea and the criticism made by Australia on the Chinese policies regarding the Pacific Ocean. Given the close relations of Huang with the ruling Chinese communist party, an aggressive reaction is expected from China regarding the action against him.